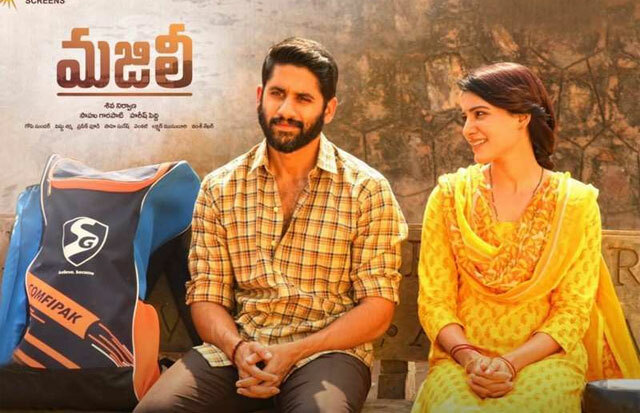 Can Majili Director Skip Second Film Sentiment? Many directors failed to come out of a negative sentiment that is, their second film being a flop! Except for SS Rajamouli, Trivikram Srinivas, Chandoo Mondeti and Boyapati Srinu, Koratala Siva all directors delivered big disasters in their second attempts. Rajamouli gave a commercial classic in Simhadri, Koratala Siva gave Mahesh's well known blockbuster Srimanthudu, Trivikram gave Athadu, Chandoo gave Premam and Boyapati gave Tulasi. Commercially all the other three did not pay rich dividends but they are known as breakeven hits. Athadu after hitting satellite re-runs, it became a classic and Premam, Tulasi stayed as good films. Simhadri still manages to be a repeat worthy film. Puri Jagannath delivered Baachi, SJ Surya delivered Nani, VV Vinayak gave Chennakesava Reddy, Sudheer Verma gave DohChay and many others fell into such trap of second film being a disaster. Maruthi Dasari did not make a substantial hit film as his first to consider his second as a massive difference for this article purpose. Majili director Shiva Nirvana's Ninnu Kori starring Nani is bigger hit for today's generation in romantic genre. It became quite popular that few people talk about it as a romantic film equal to Arjun Reddy in content. Hence, fans of Naga Chaitanya are hoping that movie became a hit and escape second movie sentiment like Premam than fall for the sentiment. RGV Wins The Battle Over TDP?